You are browsing the archive for open culture. Since 2015 Open Knowledge International has been part of the consortium of RouteToPA, a European innovation project aimed at improving citizen engagement by enabling meaningful interaction between open data users, open data publishers and open data. In the ROUTETOPA case study series, we shine a light on public administrations, organizations and communities that have adopted and are using ROUTETOPA tools for work and discussions around open data. This case study narrative was written by Hetor Pilot’s Carmen Luciano, Vanja Annunziata, Maria Anna Ambrosino and Gianluca Santangelo and has been reposted from the RouteToPA website. Italy has a long cultural tradition and the Campania region in particular is a territory that has a huge number of worthy local resources. Campania region’s cultural heritage must be preserved and promoted: first, by public administrations, but also by citizens. Unfortunately, these actions become more and more arduous, especially in a society totally oriented to the technological world, in which people are no more interested in “old things”. The Hetor project was born with the aim of “revealing Campania cultural heritage essence via open data power”, combining cultural heritage with new technologies. The project is part of the initiatives organized by the DATABENC Technological district (High Technology Consortium for Cultural Heritage) within the EU H2020 ROUTE-TO-PA Project, and it is based on the creation and accessibility of knowledge concerning Campania cultural heritage. The term Hetor (‘heart’ in greek) is connected to the principle of ‘truth’, meaning a shared and participatory construction of knowledge. The project aims to motivate and engage public administrations, local communities and schools in co-producing open data to enhance the local cultural heritage. Therefore, we have created a website for open data concerning the cultural heritage of the Campania region, which contains official data from national institutions, such as ISTAT, MIBACT, MIUR and Campania Region. The project is even more ambitious: by logging in to Hetor’s Social Platform for Open Data (SPOD) citizens can hold discussions, using free licensed data that’s available for use all over the world, in addition to data collected on the project repository. They can also co-create contents related to their town, enhancing their local cultural heritage. Spreading of data, via a specific communication strategy that uses two main ways of communication, the Hetor Facebook page and the Hetor blog . The initial activities of the project involved a group of trainees undertaking their ICT Masters program for in “Cultural Heritage Information System” at DATABENC. They produced 8 datasets about the Cultural Heritage resources of Campania Region, including material and immaterial resources, in order to facilitate the creation of touristic itineraries to promote the territory. In the second phase, students have been involved in the project, in particular 4 schools located in the provinces of Salerno, Avellino and Caserta. At the end of the activities, conducted within the ‘School-to-work transition programme’, students have produced 19 datasets about their local resources, both tangible and intangible ones. Communities also collaborated with the project: two groups of citizens in particular, in the province of Salerno, produced two datasets related to their territory. The power of the Hetor Project lies in the combination of cultural heritage with ICT: the open data collected on SPOD are the means to promote and enhance the territory. Currently they concern the Campania region, but that could be implemented to the national level with citizen’s participation. Everyone can join us, co-creating data in order to enhance their own town, revealing information that even native citizens did not know before! To stay updated on Hetor’s future work, you can read more on this blog and follow updates via Facebook. Kennt ihr gute Apps, Dienste oder Visualisierungen mit offenen Kulturdaten? Nein? Gemeinsam mit euch wollen wir das ändern und laden zu Coding da Vinci, dem ersten deutschen Kultur-Hackathon nach Berlin ein! Coding da Vinci möchte aus ganz Deutschland kulturbegeisterte Entwickler-, Designer- und Gamer/innen mit Kulturinstitutionen zusammenbringen, um gemeinsam nachhaltige Anwendungen, Visualisierungen und Apps mit offenen Kulturdaten zu entwickeln. Ziel ist es, das Potenzial der digitalen Kulturschätze aufzuzeigen und auch Daten im Kulturbereich offen zugänglich und nachnutzbar zu machen. Unter dem Motto “Let them play with your toys!” (Jo Pugh, National Archives UK) läuft der Kultur-Hackathon 10 Wochen, vom 26./27. April bis 5./6. Juli 2014. Alle Daten findet ihr demnächst ausführlich vorgestellt und zum Downloaden auf unserer Webseite. Damit ihr gut in Berlin ankommt, vergeben wir Stipendien für Reise und Unterkunft. Also einfach anmelden! Institutionen, die ihre Daten öffnen Berlinische Galerie I Ethnologisches Museum Berlin I Museum für Naturkunde Berlin I Staatsbibliothek zu Berlin – Preußischer Kulturbesitz I Stadtmuseum Berlin I Zentral- und Landesbibliothek Berlin I Max-Planck-Institut für Wissenschaftsgeschichte Berlin Über die API der Deutschen Digitalen Bibliothek stehen euch weitere Daten zur Verfügung. Für interessierte Institutionen bietet Coding da Vinci die Chance, einen neuen Blick auf den eigenen Bestand zu werfen und sich auch mit anderen Institutionen zu vernetzen. Coding da Vinci – Der Kultur-Hackathon ist ein Gemeinschaftprojekt von der Deutschen Digitalen Bibliothek, der Servicestelle Digitalisierung Berlin, der Open Knowledge Foundation Deutschland und Wikimedia Deutschland. Wir möchten Euch herzlich zur 3. Internationalen Konferenz “Zugang gestalten! – Mehr Verantwortung für das kulturelle Erbe”, am 28. und 29. November im Jüdischen Museum Berlin, einladen! Das zweitägige Programm beinhaltet internationale Beispiele kultureller Institutionen im Zeitalter der Digitalisierung, Diskussionen zum Thema Selbstverständnis, rechtliche Rahmenbedingungen und kulturpolitische Positionen. Zwei Tage lang werden Expertinnen und Experten aus Kultur, Wirtschaft, Zivilgesellschaft und Politik aktuelle Fragen des Zugangs zum kulturellen Erbe erörtern. Dazu präsentieren Vertreterinnen und Vertreter kultureller Institutionen neue Sichtweisen und innovative Projekte. Das ausführliche Programm und die Speaker findet Ihr hier. Entnehmt weitere Informationen unserem Flyer (Download: Flyer_Konferenz Zugang Gestalten! ), dem Programm (Download: Programm_Konferenz Zugang gestalten!) oder meldet Euch direkt an. Wir freuen uns über Eure Teilnahme! The ninth in our series guest post by OKCon 2013 speakers is by Primavera De Filippi, Mario Purkathofer and Daniel Boos. They will be holding the satelite event ‘Re:Public Domain Remix + Walk’, part of the Open Culture programme, on Thursday 19 September, 10:00 – 18:00 @ KulturBüro, Rue de Berne 63, 1201 Genève. Invited artists will act as mediator between the artworks and the public, who will be invited to remix these works. Each artist will be responsible for coordinating actions within its own stream or category, encouraging people to remix the works in front of them in new and creative ways. Each artist will be in charge of answering questions and sharing their own skills (e.g. explaining which kind of tools can be used to remix these works, and teaching people how to actually use those tools). Serigraphy by So:ren Berner, Public can print their own t-shirt with Public Domain Materials. Bring your T-Shirts! 3d Printer with Fablab Zürich, the sculpture “Neue Badende” will be printed in different colors on a 3D-Printer. App by Christoph Stähli, a mobile audio application to remix Public Domain materials. Bring your mobile phones! In the afternoon, we will do a walk to the woods of Mont Saleve, where we present the new book by D18 Edition & Typolibre. 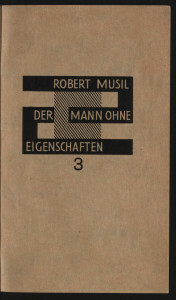 Reading some fragments, doing field records, presenting some remixes on the wild side together with 15000 fragments by Robert Musil. His unfinished novel The Man Without Qualities is generally considered to be one of the most important modernist novels. However, the novel has not been widely read both because of its delayed publication and intricate, lengthy plot. Musil died on April 14th 1942 in Geneva. Daniel Boos lives in Zurich and works in Bern or Zurich. He is active in Digitale Allmend, where he was a member of the board until early 2012. Together with Dock18 he organized the Public Domain Jam. His particular interest is in the question of how works in the public domain can be creatively acquired and used again. He is interested in, and was active in the context of different network policy initiatives. These included groups such as communia, trash.net, Creative Commons Switzerland, SIUG. This concerned, among others, topics such as copyright, camera surveillance and the ironic presentation of prizes to surveillance operators. Daniel Boos is a social scientist and has a PHD from the ETH Zurich. It was just under two years ago when Liam Wyatt proposed a concept that seemed so bold, it required the British Museum to run a risk assessment before they’d agree to it. Liam suggested that he serve as the “Wikipedian in Residence,” a role that would allow him to put into practice the idea that cultural institutions should share their knowledge with Wikipedia. Thankfully, the British Museum agreed. That basic premise has turned into a global movement known as GLAM-WIKI (Galleries, Libraries, Archives, and Museums). Today, the GLAM-WIKI community is made up of Wikimedians from around the world who work to establish models and best practices that help cultural institutions share their resources with Wikimedia. Prior to Liam’s residency in June 2010, cultural institutions had donated images to Wikimedia Commons, but there had not yet been an institution that committed to establishing a relationship with the Wikimedia community. The concept of building a mutually beneficial cooperation is at the heart of the Wikipedian in Residence scheme. The main role of a resident is to serve as a liaison between the museum and Wikipedia. Projects still include image donations, but now more often focus on staff workshops, outreach events (such as “Backstage Passes”) to connect with local Wikipedians, and on-site events (such as “Edit-a-Thons”) that help get cultural content out of the filing cabinets and into Wikipedia. Following the British Museum, the Wikipedian in Residence trend began to spread. My residency at The Children’s Museum of Indianapolis began in August 2010, followed in early 2011 with the Château de Versailles, Derby Museum and Art Gallery, and the Museu Picasso. By May 2011, two more major institutions joined in: the US National Archives and Records Administration (NARA) and the Smithsonian Institution’s Archives of American Art. In July 2011, Daniel Mietchen became the Wikimedian in Residence on Open Science. Working with the Open Knowledge Foundation, this was the first residency to adapt the GLAM model to open science — an exciting advancement of the Wikipedian in Residence concept! Even more residencies began in late 2011, including the Israel Museum, and many are in the works for 2012 and beyond. I’ve enjoyed watching the evolution of the Wikipedian in Residence concept as it has been implemented in different institutions. Each residency has shown its own strength. At the Derby Museum, Roger Bamkin followed through on an idea to improve the multilingual capabilities of QR codes in exhibits. What resulted was QRpedia, a QR code-generating website that detects the language of the user’s phone and links to the Wikipedia article in that language. QRpedia has now been implemented in museums in the US and Europe and has been nominated for a Smart UK award. Dominic McDevitt-Parks, the Wikipedian in Residence at the NARA, has broken new ground in facilitating the digitization and transcription of primary source materials through Wikisource and Wikimedia Commons. NARA’s cooperation with Wikipedia has been strongly incorporated into their broad strategy of increasing digital accessibility to their holdings and has proven to be a point of pride for the Archivist of the United States, David Ferriero. The concept of the Wikipedian in Residence has come a long way since the British Museum’s big gamble. Now, those who have served as Wikipedians in Residence travel the world presenting projects to increasingly enthusiastic cultural professionals. In April, four residents will come together from three countries to present at the American Association of Museums, the largest and most significant museum conference in the US. I can’t wait to see what incredible residencies and cooperations are around the next corner. For additional information about Wikipedians in Residence, see the information page on GLAM Outreach or the GLAM Infographic.